Hello there and welcome to the March Clearly Besotted Teasers. From now until (and including) the 5th March, which is release day, myself, the rest of the DT and amazing Guest Designers Keren Baker and Yoonsun Hur, will be sharing teasers using the new sets. 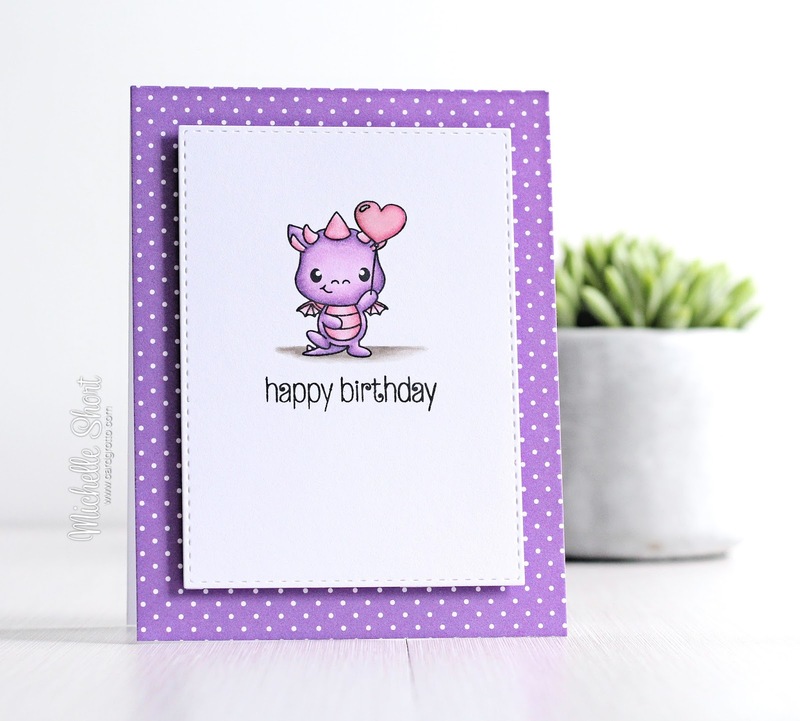 Today I am using the super cute Hot Stuff stamp set. I started off by stamping the balloon and masking it off (using mask paper), I then stamped the dragon in front. The sentiment, from the Wild Thing stamp set, was stamped below. I then coloured the images with Copic Markers. All dragons are purple and pink aren't they?! The panel was then added to an A2 white card base which has a sheet of paper from the Doodlebug Polar Pals paper pad on the front. To finish off, I added clear Wink of Stella to all the pink parts on the image and Glossy Accents to the balloon. COPIC MARKERS: Dragon - V17, V15, V12, V01, R85, R83, R81. Balloon: R85, R83, R81. Ground: W5, W3, W1. I literally squealed when I saw this set, it is just adorable! Please pop over to see Stephanie where she will be sharing her amazing teasers and she will also links to the rest of the DT sharing today. Thanks so much for visiting me today, have a great day! Yay, purple dragon. Such a cute set and I LOVE your card. 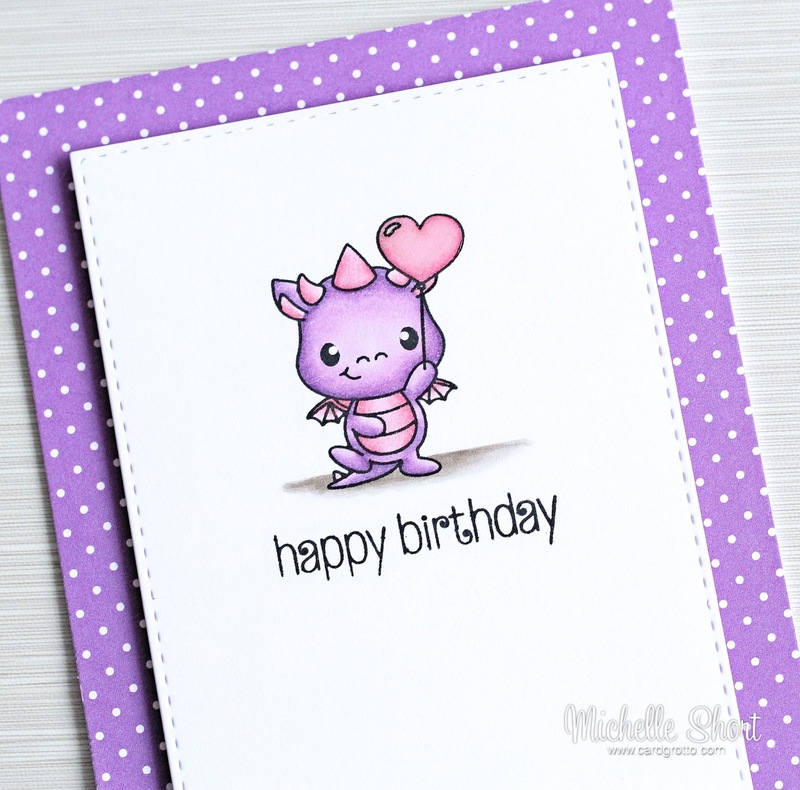 Such beautiful colouring on the dragons Michelle, I love your style of cards. Think my list is going to be a big one this time. Totally adorable and so perfectly colored!!!! AWE ...who doesn't LOVE a pink and purple dragon?!?!?! LOVE!!! !